Greetings, dear readers! I am back this week with another reveal of a May Polish Pickup polish! Woohoo! Let's jump in! 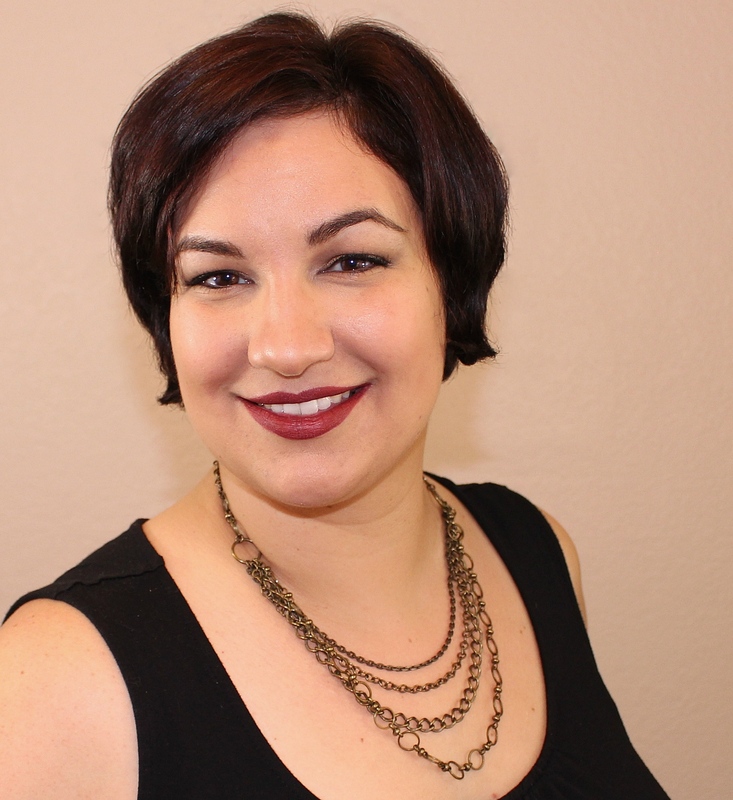 The theme for the May Polish Pickup is the 1990's, and Jenna, the creative maker behind the brand LynB Designs, pulled her specific inspiration from The Tick. Jenna has been a fan of the animated series from it's launch in 1994, and even had every episode on tape to re-watch. I had sadly never actually seen a single episode, although I am familiar with the show's existence. Even though it doesn't have the sentimental meaning to me as it does to Jenna and her family, there is no doubt that her polish, SPOON!, is exquisite. Check this out! 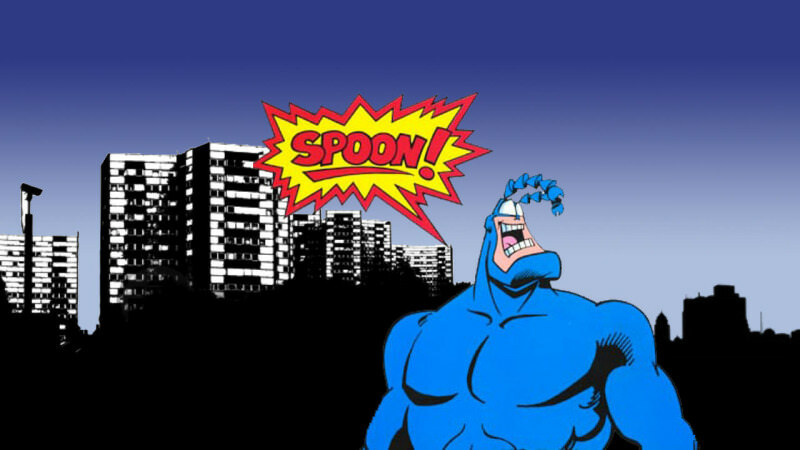 SPOON! starts off with a bright blue base and is loaded up with pink shimmer, orange to gold to pink flakies, and a dash of holographic sparkle. This stunning creation just glows on your fingertips! I love everything about this polish! While I do my best with swatching and photographing in general, these photos just do not capture just how breathtaking this polish is. This is not a colour I normally would gravitate towards, so that alone says a lot about how pretty it truly is. Also, the formula is flawless. Not too thick or thin, it applies with a nice creamy finish, even with the added flakies! These photos are shown with two coats of SPOON! plus a layer of top coat. SPOON! will be available for purchase from the Polish Pickup website from this Friday, May 4th through Monday, May 7th. It can be purchased as a preorder, and it will retail for $12 per bottle. There is currently no limit to how many bottles can be purchased. As all items purchased through the Polish Pickup are ordered as a preorder, please allow three weeks for shipping. The opening of the May Polish Pickup is only a few days away! Are you excited? What all do you have on your wishlists? I'd love to hear from you! I don't think I've ever seen that show, but the polish is very pretty. I love the pink shimmer in this! What a great blue. I just picked up a LynnB out of my collection that is a similar blue but doesn't have that gorgeous sparkle and flakes. You always capture the sheens so well and this is gorgeous! Spoon looks like it's lit from within! Gorgeous! I haven't seen the show, but I LOVE the polish! That shimmer is lovely. I haven't seen this show - but i've seen how amazing this polish is! Look at that gorgeous shimmer! Lovely swatch! I have no idea about the show but this was the first polish on my wishlist this month. I'm drooling over your photos. This is so pretty!! I love how the shimmer makes it glow!!! Gorgeous swatches!! Spoon is heaven and I want it! This is such a pretty shade! I love the shimmers and the inner glow. Great swatches! The shimmer in this is stunning. Beautiful swatch! That's a very pretty periwinkle. Looks great with your skin color! Gorgeous swatch and polish. LynB consistently brings it every month to PPU.